In 1879, Old Tom Morris traveled all the way across Scotland from St. Andrews, down the Mull of Kintyre, to the quiet village of Machrihanish. 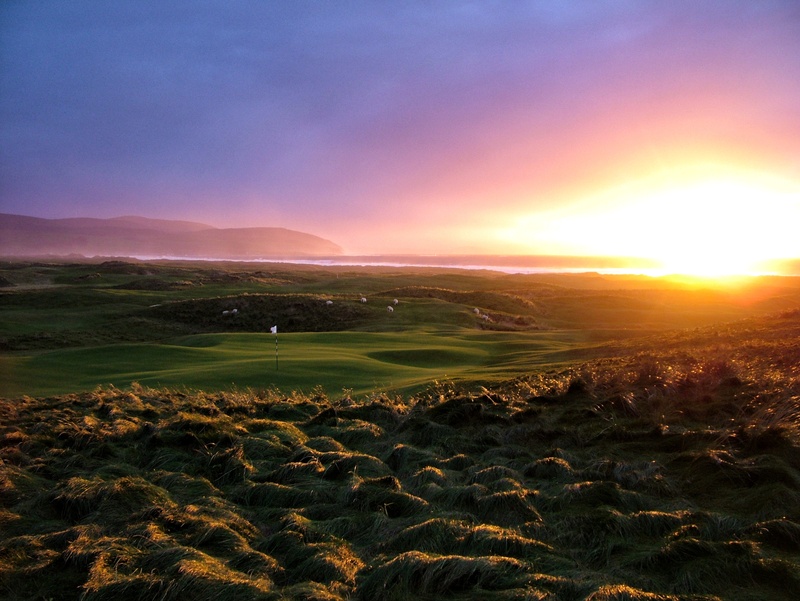 He’d come to aid in the design of a golf course that’s known today as Machrihanish Golf Club. Morris loved the site of the course, telling the world that God clearly had created it just for golf. 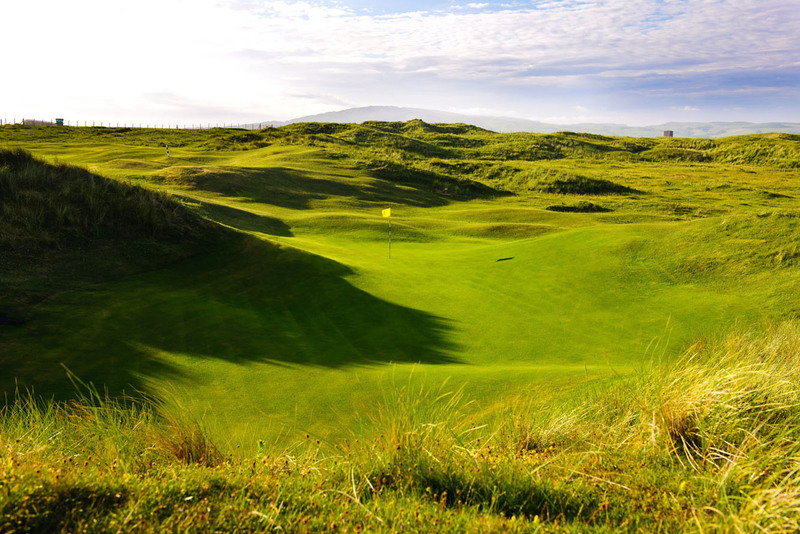 One hundred and thirty years later, a second course opened in Machrihanish – right next door to its older neighbor. But giving birth to Machrihanish Dunes Golf Club was by no means easy. That’s because Machrihanish Dunes sits on what the U.K. government calls a “site of special scientific interest.” The presence of several rare species of orchids and moths meant that building anything on the site would be all but impossible. But the course’s developers weren’t daunted. They worked with the government agencies to find a way – and brought in Scots golf course architect David McLay Kidd to explain how a course could be built in such a place and be a boon to its ecosystem. 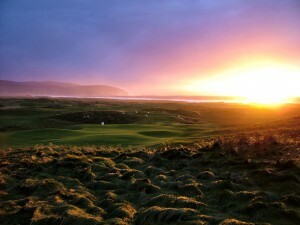 Kidd, he of Bandon Dunes fame, had frolicked among these dunes as a child while on holiday in the area with his family. He explained how a great course could be built with minimal disruption of the land – not with heavy equipment, but the old fashioned way. The land didn’t need much; when I visited the site prior to the beginning of construction, it was easy to see where the holes would go. Kidd ended up identifying 23 natural holes on the course’s 250 acres, chose the 18 best ones, and created a routing and construction plan that in the end met with the approval of the land’s protectors. When all was said and done, Kidd and his crew (which included noted designer Tall Paul Kimber) only touched seven of the 250 acres. That’s right, just seven. They identified tees and greens and shaped those to some degree, but the rest of the course you play today is by and large just the way Nature created it. It’s golf the way it used to be – with blind shots, humps and hollows, dips and swales and greens the likes of which you won’t encounter in too many other places. 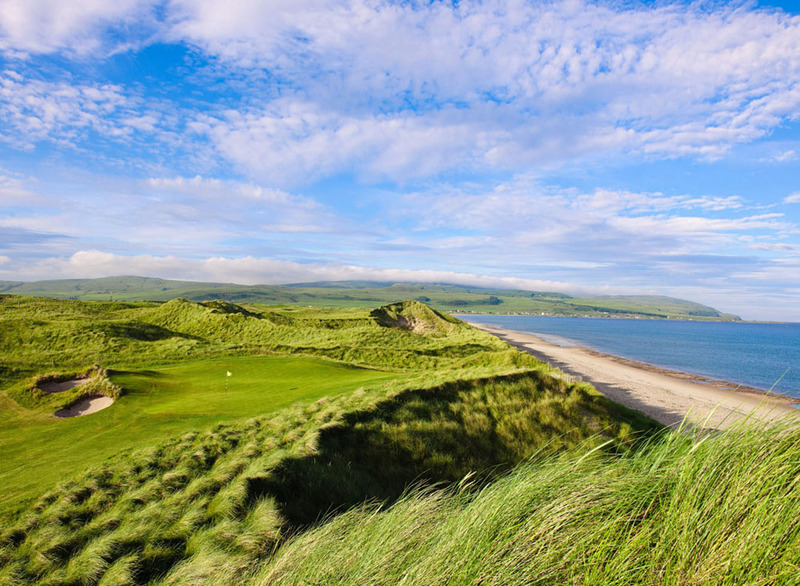 Machrihanish Dunes reminds me of courses like Lahinch, The Machrie and Ashkernish, courses where it’s the land that dictates what kind of shot you’ll play, not your GPS or yardage book. Here you’ll find reachable par 4s and all-but-unreachable ones, along with a group of par 3s that are as scenic and challenging as any you’ll find anywhere. There are six greens and five tees right at the ocean’s edge, so the sound of the pounding surf is your constant companion. For Golf Director Keith Martin, Course Superintendent Kevin Smith and the rest of their crew, course maintenance is a challenge. Because of the ecological sensitivity of the site, chemical fertilizers and herbicides are not an option. Instead, they pick the daisies by hand, and have a herd of Hebridean black sheep to assist with the trimming of the rough. This is golf the way it began, and from beginning to end, it’s absolutely marvelous. Today the Golf Road Warriors took on Machrihanish Dunes in bright sunny weather with just a gentle breeze. It was the highlight of the golf trip – and memories of its tumbling fairways, amazing greens and unmatched setting will stay with me for a long time.